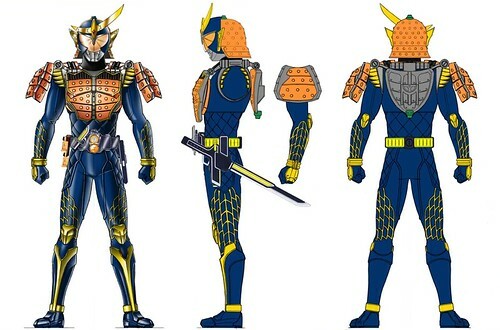 Once again, it’s time for a design gallery, this time for Gaim! This is another one with no equipment images, but we get all the Riders, plus helmet closeups, as well as Inves and Overlord art. 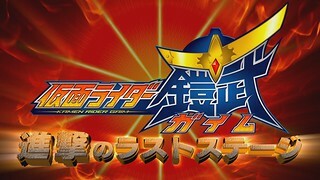 I’ve included the pieces from the Gaim Gaiden films as well. Mega downloads are available as always, along with the usual Flickr gallery. Enjoy! 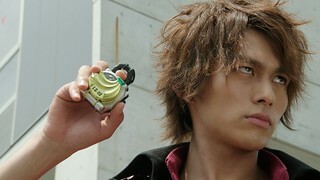 Our last Gaim release for a while comes once again with three sub tracks. OrangeLion provides the base translation, and as always, a revised track and hybrid track are included. Like previous movies, we’ve got 3 tracks here, with the revised version, an Over-Time/Aesir hybrid, and the original Over-Time track. Not much was changed here other than the typical revisions. Updated Zork Tojo to Zoruku Tojo on Revised track. Changed some Drive terminology to use the translations from Aesir’s subs of the Drive previews (MI-D vs SCU, etc.) on Aesir hybrid track. Well, it’s been a long road, but we’re finally here. 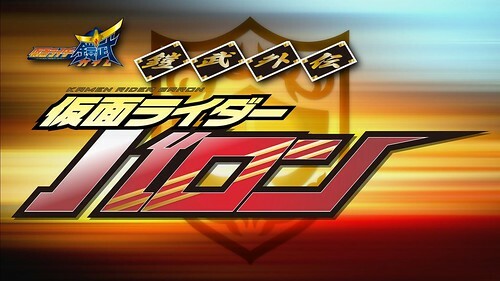 Gaim is effectively done, and the “Neo-Heisei” era BDs are now caught up! This project was a lot more involved than the previous ones, where it was more-or-less “slap existing subs onto BD encodes and fix a few minor errors”. Whether you want to look at this as a scrub or just a general unifying revision of multiple subgroups’ translations into one, I’m personally very happy with the results and I hope everyone else is too. If you aren’t, well, that’s why the Aesir subs are included. 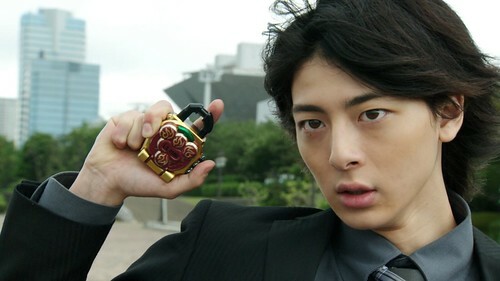 So, like many of the other shows, we’re not entirely done with Gaim-related releases. 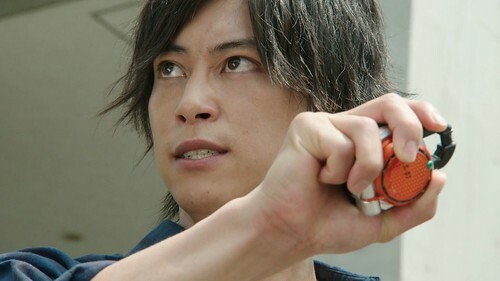 Because of the whole terminology revisions we’ve done, we’re going to be releasing several post-series installments, starting with the Drive/Gaim crossover. 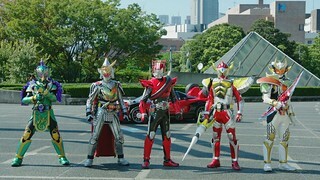 I’m particularly happy about that one because as I mentioned back in Drive’s wrap up, Drive is my favorite Rider, so any excuse to drop back in there is welcome. 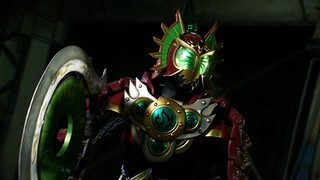 After that, we’ll be doing revisions to Gaim Gaiden Zangetsu & Baron as well. Those will hopefully be out in the next week or so, as time permits for me to do a check pass on them. 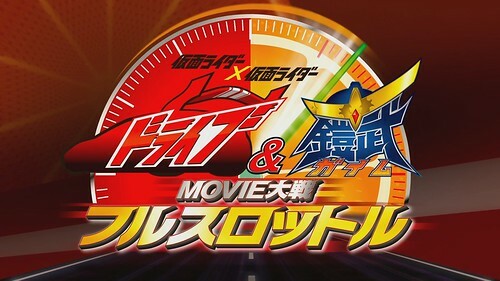 Regarding Gaim Gaiden 2, the only translation currently available is from TV-N, and while I considered doing a scrub of that, I’ve been in discussion with a group who might be interested in doing a full translation of it. Their availability is limited until this fall, so it won’t be getting done anytime soon, but I’d rather wait if it means getting a proper translation. That’s all I have to say on this for now, especially as to which group it is that expressed interest in order to keep people from bugging them about whether they’ll do it. As usual, a batch release is coming soon. Right now, I only know of one patch I’ll be doing, to revise a name spelling that was changed later on that I forgot about. It’s a fairly non-critical one (Peco > Peko), but I’d rather update it. I do know of a couple instances of some missing exclamation points on some of the belt calls but those are so trivial that I won’t bother patching those. We’ll also have a design gallery coming in a few days as well, once I have time to extract and sort the images. As for what’s next, since we’re now caught up with current shows, there are a few things we’ll be jumping back into. First up, Ex-Aid Box 2 and Zyuohger Box 4 are coming in a couple more weeks, so we’ll be knocking those out. 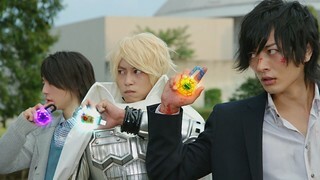 After that, work will resume on ToQGer to head towards finishing that. 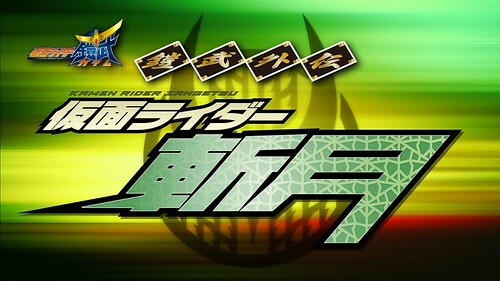 For the Rider fans, we’ll be returning to the Wizard dubs now that some time has passed and I’m not also working on all the revisions to Gaim. I’m also finally going to return to working on Black RX, and likely re-releasing the first two episodes since I want to make some additional changes. I’m also working on some OOO and Fourze DCs that I posted about on Twitter a few weeks back, so hopefully, those will be available soon. Lastly, the Decade project is still planned but hasn’t really started yet, so I’ll have more details on that when I can share them. If you’d told me almost 4 years ago that I’d have encoded and released 7 1/2 Kamen Rider shows (Amazons S1 and Ex-Aid Box 1 count for that extra half) by now, I don’t know that I’d have believed you, but here we are. Still can’t quite believe it myself. Anyway, thanks for sticking with me on this journey so far and there’s still a lot more to come! Seven months after Kouta and Mai have left and colonized a new planet, all traces of Helheim Forest have been cleared from Zawame City, but a returning threat appears to change things forever. 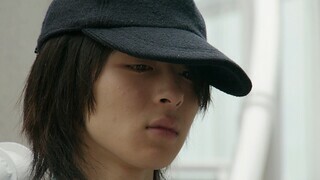 With the other Armored Riders out of action, Mitsuzane realizes that Kouta isn’t on Earth anymore and that it’s up to him to save Zawame City. 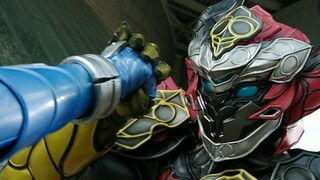 With the battle escalated to Lord Baron vs Zenith Arms, Kouta and Kaito fight to the death against on another. 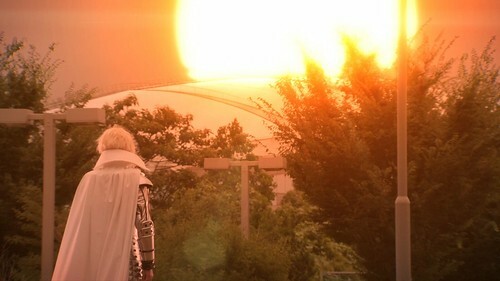 But, as the victor is chosen, Sagara appears to tell the Man and Woman of the Beginning of their duties. But, will they change the fate of the Earth? Revision Notes: Added the rest of the weapon names when Kouta summons them early in the episode on the Revised track. Episode 45: The Two Who Control Fate’s Final Battle! After Marika and Knuckle are out of the picture and Mitchy struck with guilt, the final battle begins. 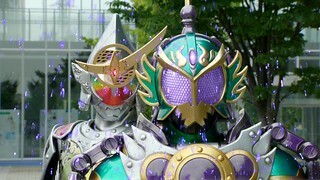 Kouta and Kaito face off once more, each controlling massive Inves armies, in order to obtain Mai, the golden fruit, and the future they each seek for themselves. Notes: Not a revision in this case but just a note about the encode. 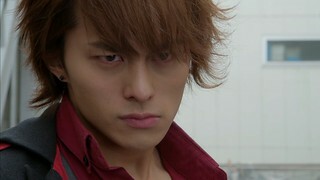 At 12:52 (and again at 13:13 and once more at 13:23), there is a very poorly upscaled/zoomed shot of Kaito. 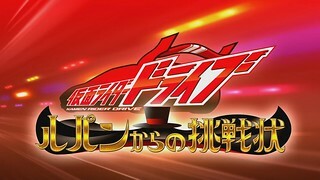 This was how the footage appeared on the BD as well as the broadcast. 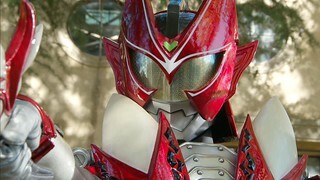 Not sure why Toei did this but it’s correct, if not damn ugly. As Mai accepts the powers of the golden fruit and attempts to change the fate that has befallen her friends, Kaito seeks her out to gain its power, as well. Meanwhile, as Oren and Jounouchi battle against Kaito and Minato, Zack chooses his side… or does he? Episode 43: Baron’s Ultimate Transformation! 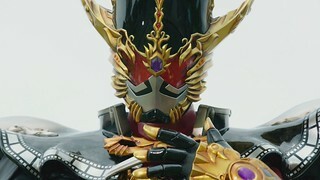 Kouta tries to prove that he has not changed, despite all Kaito has seen in Helheim, and helps the others clear Zawame of Inves. 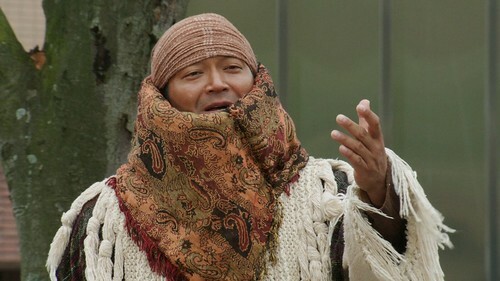 However, Mitsuzane and Ryoma discover that Mai, who has been taken ill, is now the host of the golden fruit, and wonders why Roshuo placed it in her.